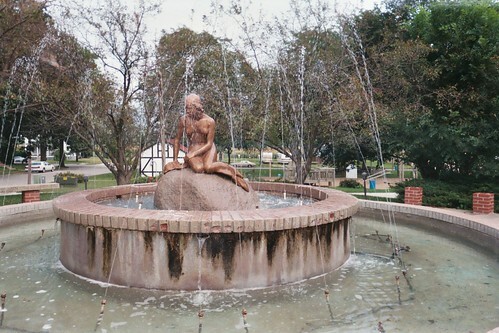 The Little Mermaid - Kimballton, IA, a photo by Jenny's Mom on Flickr. I have been longing to hop on an Icelandair flight to Scandinavia. Something about Nordic countries in the winter draw me in. Alas it does not look like I will be able to make it across the pond in early 2014, but I surely will be in Iowa later this year. Perhaps I will wind my way to Kimballton to gaze upon our version of Copenhagen's mermaid. Absent will be the colorful harbor, Tivoli Gardens, and the world's #2 restaurant. But I am sure I can pick up a mighty tenderloin, wander through someone's back yard, and find some colorful graffiti somewhere in Kimballton.